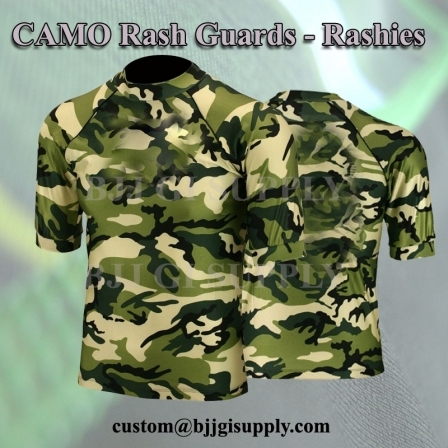 Custom lycra Camo rashguards ( Rashies ) Full sleeve - Half Sleeve with custom sublimated logos. 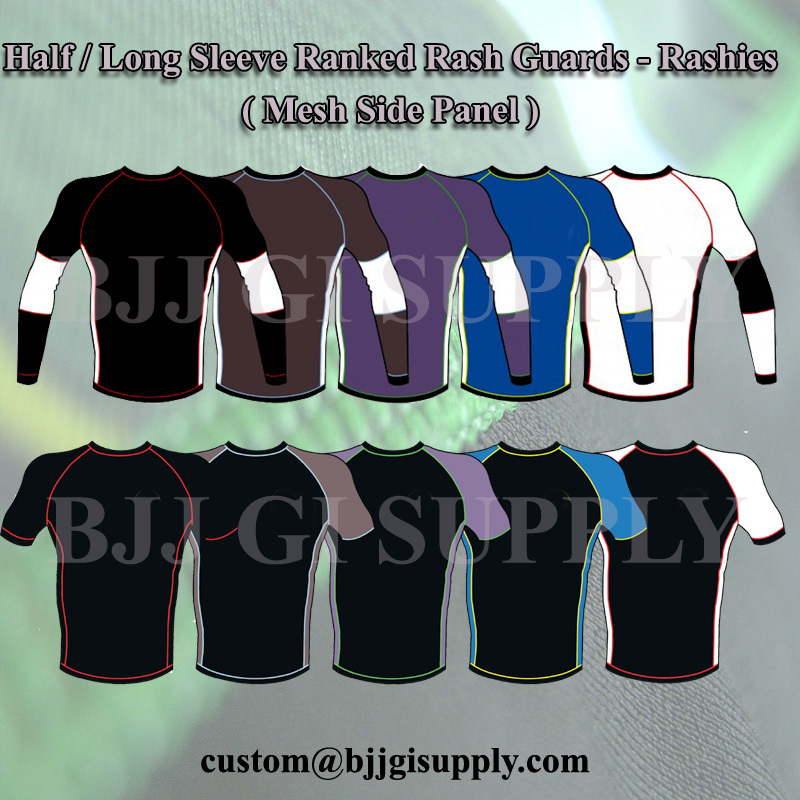 These are a great to wear underneath your gi, or to represent your team during no-gi training or competition. 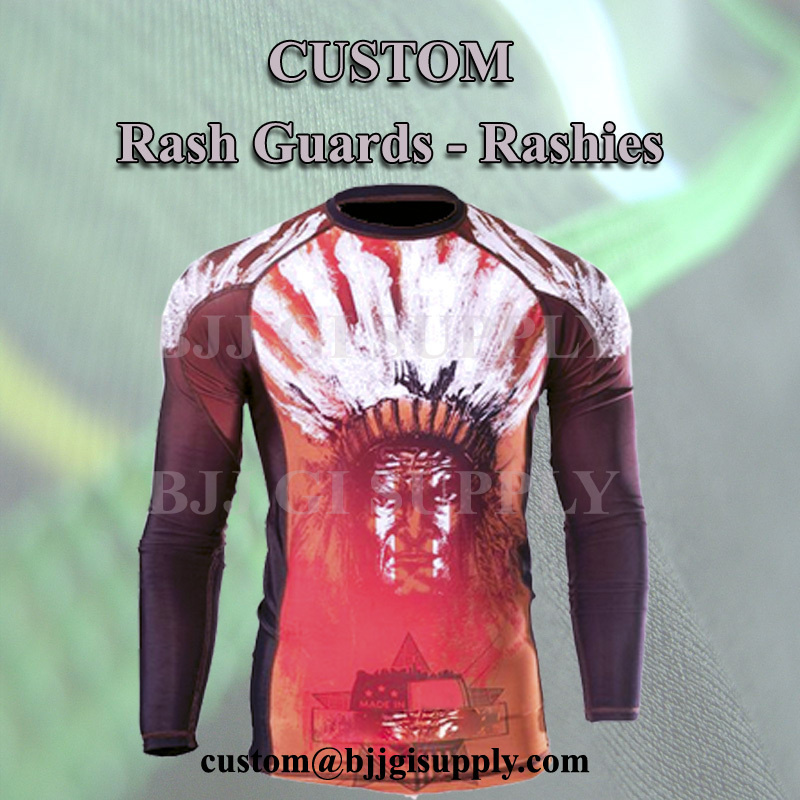 Featuring the Warrior logo on the front- the BJJ Inc. school logo on the back, and the Fight to Win team logo printed on the sleeve (short sleeve). 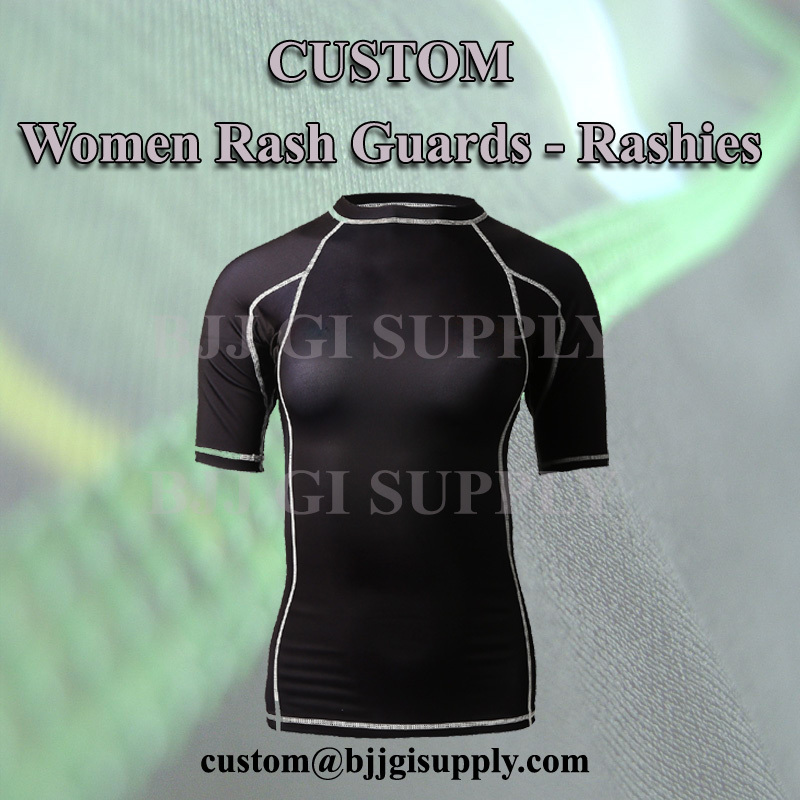 Logos are sublimated into the material so they would not wear off.